Dec 8th, 9th & 10th, 2017 with Pandit Dabral at Loyola U. Retreat Center, Woodstock, Illinois, USA. Pandit Dabral is a Sanskrit scholar and an advanced teacher in the Himalayan Tradition. He is an initiate of Swami Rama and a disciple of Swami Veda. 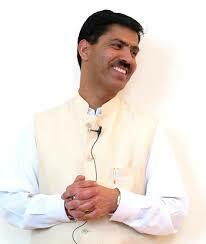 Pandit Dabral is also our center’s Spiritual Director. Pandit Dabral will teach us the philosophy and practices within the Tantric texts, including Vijnanabhairava. The retreat will also feature an Ashram like daily schedule.